I have always been fascinated by medieval illuminated manuscripts not just for the amazing painted miniatures and flourishes but also for the typographic inspiration. The Getty has such a wonderful collection, a rotating selection of which are always on display, and I find myself drawn to them quite often during my research for docent tours. 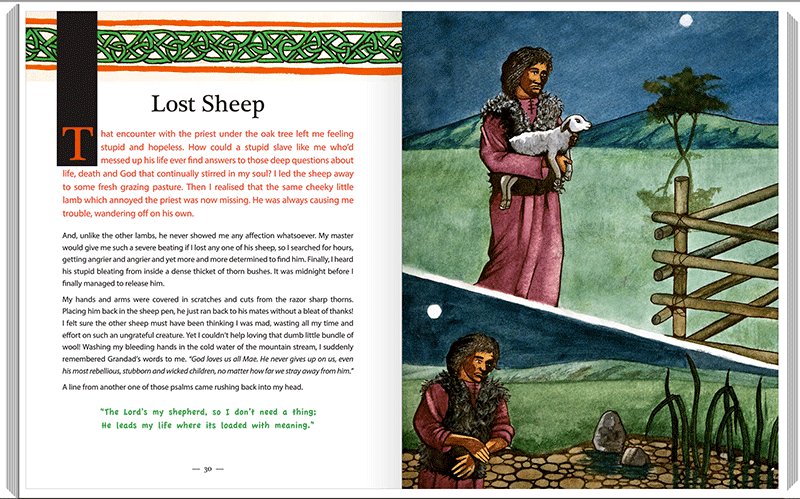 This time however, the inspiration fed into my day job as a designer, a book layout for a client on the subject of Saint Patrick, and as its nearly St Paddy’s day, I thought I’d write a little about the process. My client, a theology professor, had written a book about the saint’s teenage years as an inspirational story for young adults – the most unlikely character turns his life around to become a role model for later generations. It was certainly news to me that St Patrick, patron saint of Ireland, started his early life in my home town of Liverpool and was captured, bound for Ireland as a slave. Studying some of the visual cues used in medieval manuscripts from the 13th century onwards, and early printed editions of medieval inspired works such as those by the Arts and Crafts movement, I was inspired by the notion of ‘rubric’. 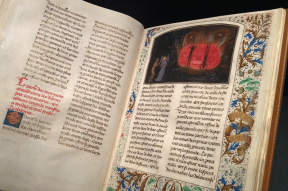 Rubric is a device used in medieval typography for a variety of reasons such as a chapter heading, title or instruction, the word originating from the latin ‘rubrica’ the red ochre pigment used to create it. 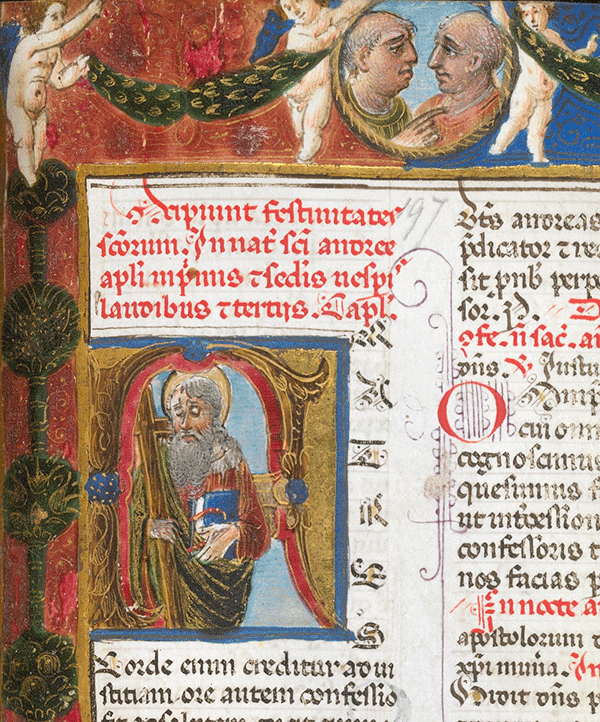 When text is ‘rubricated’ it is highlighted in red and in a liturgical context may signify something akin to stage directions for the priest – the text left in black being the actual words to be read aloud. Other uses include red being used for the congregation’s responses, a little like subtitles on a film employing different colours to distinguish various characters’ voices. 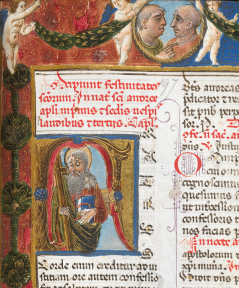 Red, and occasionally other colours such as blue or gold were used to highlight important names, first lines of psalms or section headings and for large ornamental or historiated (illustrated) drop capitals. 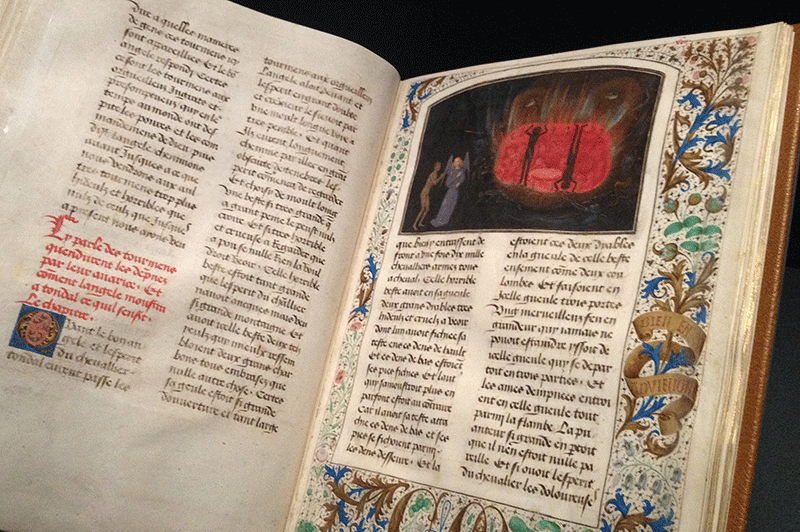 I decided to use medieval typography cues to draw on tradition and reference the origin of the story but also to break up the text into bite-sized pieces in an attractive and useful way, encouraging reluctant readers to not be daunted by the sight of a great deal of text. For the purposes of a book aimed at children and young adults, variation in typography adds interest but I was concerned that the text remain accessible and legible so I avoided an overly fancy script style and chose clean, sans-serif body typefaces. Also in this spirit I split the text up into sections and gave these headings to hint at what that section contained, in order to encourage further reading. 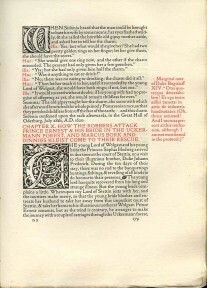 The first paragraphs of the following text were set in red rubric style to further lead the reader into the chapter. Another way I was influenced by the styling of manuscripts was to use the rubric idea to distinguish between different voices within the text. 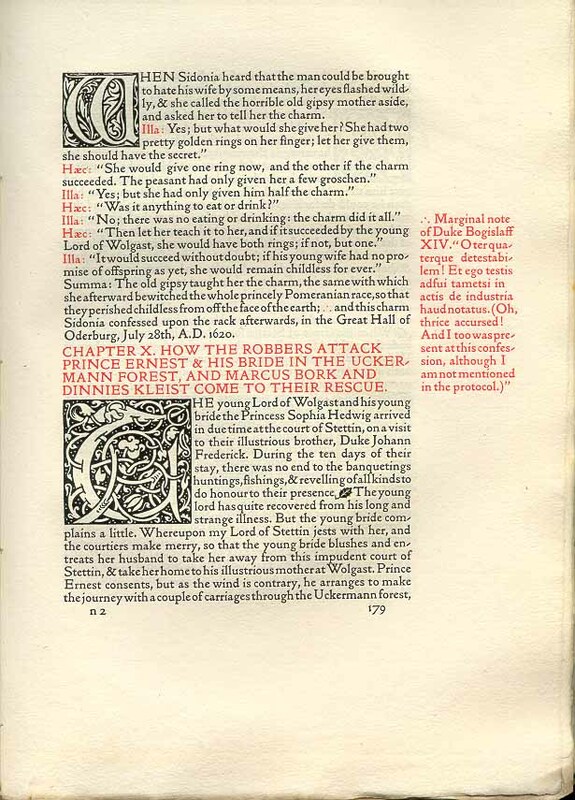 In the Patrick of Liverpool story the author has included passages of rhyme or ‘rapping’ to connect with the young audience, and I set this type as centred, in a different colour and typeface. Maewyn, the main character has his own typography style as do some other characters he encounters, this is a lively break in the narrative and attention is drawn to it visually. The book’s illustrator is an inspirational story himself – a former prison inmate who was commissioned to create the drawings. I requested a hand rendered celtic style border from him to add to the illuminated feel, and varied the illustration layout as full page bleed or with a miniature style border to accompany the text. As the book’s story is based on theological research it was important to include notes on this, however, I ensured information not aimed at the book’s main target audience ( such as difficult wording in the preface and reference notes section) was positioned outside of the main flow of text and set in smaller type so it is visually glossed over as ‘small print’ by the target audience in favour of the main story, yet is available for teachers or other interested parties to access. Patrick of Ireland is available to buy on Blurb or though the publisher Liverpool Community Spirit and all proceeds go to charity.